Find out how to solve all of your problems and difficulties by learning to thank Hashem for all the good He is doing for you in your life. A few days ago I was walking along deep in my thoughts of some of the different worries and problems I have in life. Don't worry, I wasn't sad or depressed, just deep in thought of what does Hashem want from me, and what is the way out of these difficulties? I hear "Shalom, how are you (in an old Yiddish accent - but full of life)." It was Rav Brizel, a very special Tzaddik that lives here in Yerushalayim. I looked at him and said, "Yeah Baruch Hashem, I'm OK." He then gave me a blessing and I walked on. Just then, I thought to myself, "Hey, maybe this is the sign Hashem is sending me. Maybe he can give me some advice or direction to help me with my problems." I quickly turned around and walked right back to him and started telling him what was going on in my life. I mentioned one problem, "I don't have..." and another one, "I don't know..." and another one "I'm not able..." and then he stopped me and asked me if I sing? "Uman Rosh Hashana sheli oleh al hakol, Mah omar lachem - ein davar gadol mizeh, lihyot etzli al Rosh Hashana. Umi shehaya etzli, etzli al Rosh Hashana, rauy lismoach - lismoach kol hashana." (Translation: My Uman Rosh Hashana is greater than everything. What shall I say to you, there is nothing greater than to be by me on Rosh Hashana. And one who was by me - by me on Rosh Hashana, it is fitting for him to rejoice - to rejoice the entire year.) Since I made it to Uman this past Rosh Hashana, B"H, I remind myself by singing this song that inspite of anything, I should be happy all year long just because of that. OK, so back to our story. Rav Brizel picked up on the song and started humming along the tune while I was singing it. He then jumped into the tune with different words. He sang "Hodu l'A-donai ki tov, ki leolam chasdo" (Translation: Acknowledge / thank Hashem for He is good, forever is His kindness.) He went on singing it for a while, and then he explained the following. He said that this above verse contained the winning formula that can solve any and all problems and difficulties in life. It works like this. Hodu l'A-donai: (Acknowledge / thank Hashem) - He explained that we must always be thanking Hashem. If we truly believe that everything Hashem does is for the good, so we need to be thanking Him all the time for everything. He then stressed the importance of saying the Name of Hashem A'D-onai when singing the song and not substituting it with the word Hashem. He explained that when you want to call someone you see in the street you need to use their name, otherwise they will not know you are calling them. So too with Hashem, if we want to call Him to our assistance, we must use His Name. When Hashem hears us call His Name, He right away pays attention - so to speak and listens to what we have to say to Him. In a certain town there was a barber who did not believe in G-d. When asked why, he responded, "Look at all the sick people, look at all the problems people have, how can there be a G-d if such things exist in the world!?" Upon hearing this, the man he was speaking to turned around and began to shout out in the street, "I do not believe that there is a barber in this town, there is no barber in this town!" The barber then stopped him and said with surprise, "But I am a barber, I am standing right in front of you. How can you say that you do not believe there is a barber here?" To this the man responded, "I look around and see people with long hair, with messy hair, with dirty hair, since all these people have problems with their hair, it must mean that there is no barber in this town. To this the barber responded, "But what can I do, I can only help these people if they come to me." The man said, "Hashem too can only help those who come to Him!" Ki Tov, Ki Leolam Chasdo: (for He is good, forever is His kindness) - Aha, says Hashem, he is calling Me good and kind. My child below is calling Me and praising Me for my goodness and My kindness. This draws Hashems' attention to us and invokes His mercy on us and all our problems begin to dissappear. He explained it like this, when you acknowledge someone for their goodness and kindness, then you make them want to bestow more goodness and kindness. Same thing with Hashem, if He hears us singing to Him and saying that He is good and kind, then He will automatically start sending us more goodness and kindness, and making sure that we can see His goodness and kindness, so we can thank Him and acknowledge Him more. That is the secret of the above verse and the Rav said I should sing it all the time. When I am walking, when I am sitting, at home, on the road, just keep singing "Hodu l'A-donai ki tov, ki leolam chasdo," and he said I would see miracles. We sang it a bit more and he then explained to me the other approach. What happens if we say all day long, "I have this problem," "I have this difficulty," "I have no strength," "I have no money," "My child always makes trouble." He said that we should train ourselves not to speak like this because our words make a decree on ourselves. When you say, "I have no money," you have just decreed upon yourself with your own words that you have no money. If you say, "My child always makes trouble," you have just decreed upon yourself to have a child who always makes trouble. You see how it works. It's scary when we actually begin to think about how many times we make such horrible negative decrees upon ourselves with our very own mouth. Insted we need to just sing all the time "Hodu l'A-donai ki tov, ki leolam chasdo." In this way we are decreeing upon ourselves that our lives are filled with nothing but good and kindness. We are thanking Hashem for filling our lives with only good and kindness and this is the secret to positive thinking and positive speaking and this will miraculously change everthing in our lives for the good, G-d willing. I realized myself this past Shabbat in the Mizmor LeDavid Psalm we say before the Kiddush, that near the end it says, "Only good and kindness has chased me all the days of my life." Then I thought, David Hamelech was probably the most chased and downtrodden figure we have in the whole Bible. He was an outcast from his family, Shaul Hamelech tried to kill him, his own son Avshalom tried to kill him, he suffered shame and humiliation from the incident with Batsheva, Doeg publicly cursed him, he had enemies and wars all around him, it goes on and on. Yet what does he say, "Only good and kindness has chased me all the days of my life." That is what made him great and that is why he survived it all and in the end became David Hamelech the father of the eventual Moshiach. 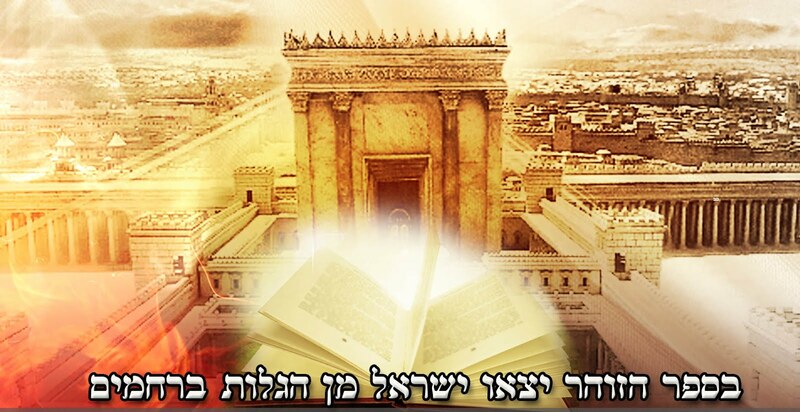 In the merit of the greatness of his tests and the fact that he still only praised Hashem for the good and kindness and asked to dwell in the house of Hashem for all his days, that is what made him truly great and that is why he merited what he merited. Ribbono Shel Olam, may You have mercy on Your beloved children. May we remember to call Your Name in all our times of trouble. May we never forget that everything You may put us through or send our way is nothing but good and kindness with the purpose of drawing us closer to You. In the merit of David Hamelech may we be worthy of singing to you from whatever place we may be and may Your kindess and mercy always be aroused upon us to help us out with whatever we may need.